Two good friends of mine have recently passed away. One made an impact on the railroad industry, the other made important contributions to the world of railroad photography and research. Gordon Fuller was a hell of a railroader and a railfan, and he held more railroad and maritime jobs than any other man I have ever known. Before his death on July 24, he had become a legend. I want to emphasize that nothing I say in this column will diminish his legendary status or the wonderful friendship that he offered to many of us. However, Gordon liked to push the envelope when it came to his business dealings. He, and we, thought of it as a fun game, although he could have angered business partners if they had ever discovered his hijinks. I met Gordon many years ago through Victor Hand, who Gordon picked to join the New York Central management trainee program when Gordon was superintendent of training. Gordon’s first railroad job was as a management trainee. He rose rapidly to the superintendent’s position under R.D. Timpany, who offered him other jobs on other railroads over the next few years. Many of these details (except for his prison sentence and a few other facts) were included in an article in the RABO Club, the journal of the Retired Administrators of the B&O Railroad, Its Affiliates and Successors. Gordon’s first transportation jobs were sailing as an officer on Grace Lines, Inc., and the Military Sea Transportation Service. His first railroad job was as management trainee on the New York Central in 1964, from which he rose rapidly. He followed Timpany to the Central Railroad of New Jersey where he rose to vice president of operations. When Conrail took over CNJ and several other bankrupt railroads in the Northeast in 1976, Gordon went to SeaLand to head its intermodal operations. He worked with Walter Rich to revive the moribund New York, Susquehanna & Western as part of the Chicago–New York portion of SeaLand’s double-stack intermodal shipping route to the West Coast. No one was happy with Conrail’s handling of the traffic, so SeaLand turned to CSX and the Susquehanna. CSX handled the trains over the former Baltimore & Ohio lines to Buffalo, with NYS&W exercising trackage rights on Conrail’s Southern Tier Line to forward the containers to Little Ferry, N.J., where SeaLand built a new intermodal terminal. That connection worked well for years, much to the consternation of Conrail. Once owned by CSX, SeaLand is now part of Maersk. 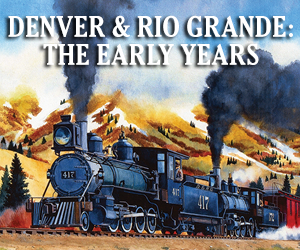 In 1989, Gordon and his former SeaLand colleague Ken Furst bought the Toledo, Peoria & Western. Gordon became the president, CEO and chairman. In 1996, they sold the railroad to Delaware Otsego Corp. and Gordon became executive vice president. Ten years later, Gordon became executive vice president and chief operating officer of the Morristown & Erie. 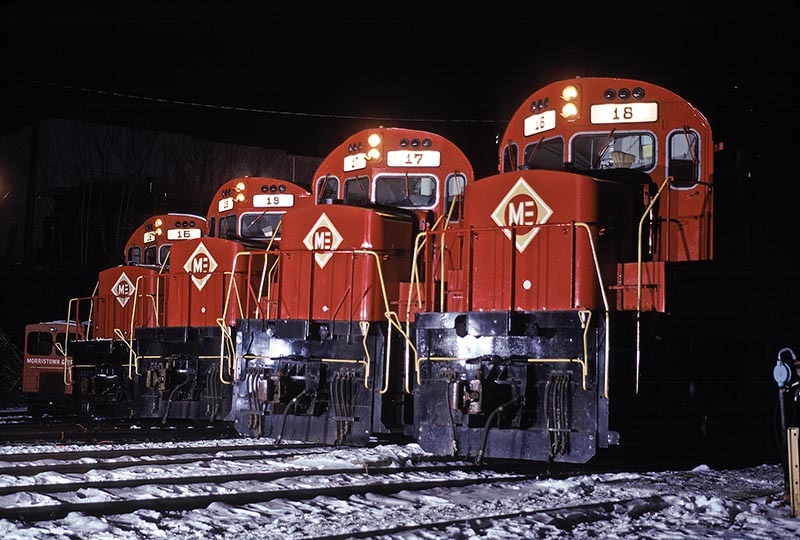 He later expanded the M&E’s reach beyond New Jersey when he launched the Maine Eastern Railroad. In 2008, Gordon was a partner and director of the Western New York & Pennsylvania Railroad, a 400-mile regional railroad. He departed the M&E in 2011. “I met Gordon in the late 1980s during the time he was working with Walter Rich to revive the NYS&W as a through route for SeaLand double-stacks,” said RABO member Jim Howarth. “I was a lifelong friend of Rich’s and heard a lot about the project but was not directly involved. Like Gordon, Howarth was a partner and director of the Western New York & Pennsylvania Railroad. “That board was and is a great group, and the WNYP has prospered in spite of losing its overhead coal traffic from Norfolk Southern,” Howarth said. Sadly, another good friend of mine died on October 9, John Gruber. John was a railfan and a talented photographer, but he also was a great organizer who is responsible for the preservation of thousands of wonderful photographs that might have been lost to history. John founded the Center for Railroad Photography & Art, which grew so steadily that he eventually had to hand it over to a full-time professional, Scott Lothes. “There would be no Center without Gruber’s vision and tireless efforts, and all of us here stand always on his shoulders,” Lothes wrote. 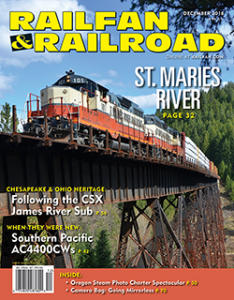 In 2000, John launched the quarterly publication Railroad Heritage, and produced its first 31 issues. It has won numerous awards. “Thanks to an early partnership that Gruber helped forge with the Archives and Special Collections department of Lake Forest College’s Donnelly and Lee Library,” Lothes wrote, “the Center has become the nation’s go-to repository for railroad images. Its holdings include the work of several leading photographers and artists, including Wallace W. Abbey, Donald W. Furler, Victor Hand, Ted Rose, and Jim Shaughnessy.” The Center’s annual conference has also been held at Lake Forest, located north of Chicago. While John’s sudden passing is a shock that will take a while to get used to, he leaves behind a rich legacy which won’t soon be forgotten.